Sign in to Science Companion Prime. Using our United States map, find at least two examples of each of the bodies of water listed on the Science Companion workbook. Complete the following page in your Science Notebook on Science Companion Prime. Take screen shots of your answers and post them on a blog entry entitled, "Watery Earth Lesson 9 - Finding Bodies of Water on Maps." Do you see any bodies of surface water in your state that you couldn't find on the United States map? If so, list them below. Did you find any bodies of surface water on the United States map that you can't find in your state? If so, list them below. List the names of three bodies of water in your state. Next to the name, identify the type of body of water (river, lake, marsh, ocean, reservoir, etc.). List the names of three bodies of water in your local area. Next to the name, identify the type of body of water (river, lake, marsh, ocean, reservoir, etc.). Here is an alphabetical list of some of the bodies of surface water found in the world. Using sticks, sign up for a body of water to research and find examples of in the world. Create a ThingLink image of a map that has a few examples of your assigned body of water on it. Place links to photos, videos, and informational websites wherever their bodies of water are. Finish, by creating a short video (a few minutes maybe) explaining what you know and what you learned about your body of water. Make sure if you read anything, that you rephrase it in your own words after you read it. Although mine is not perfect (above), listen to it as an example. Use QuickTime Screen Recorder so that you can show visuals while you speak (a screencast). Create a blog entry entitled, "Lesson 8 - Bodies of Water: _________." (Insert the name of your body of water.) Embed your ThingLink image in your blog post and then post it. We will answer reflection questions after we listen to each others' blog entries and after we do a map activity. Read the SRB chapter for this lesson & make any necessary adjustments based on what you read. What have you seen raindrops do outside? In your story, does the raindrop fall on a surface or somewhere else? What happens to your raindrop in the first few minutes after it falls? As an organizer, you can create a simple drawing with arrows that shows what your water drop will do in your story. Create a new blog post entitled, "Watery Earth Lesson 6 - Drops of Water on Different Surfaces"
Get various materials to represent things that rain can fall on. Get an eyedropper and a cup of water, but don't start testing yet! Set up a 4-Column Chart on your blog entry. Look at the sample to the right for guidance. Set up your titles and text the same way. Choose all of the surfaces that you plan to test and create the drawing that you will use. Make all of the predictions (use very descriptive language like we practiced with the apple). Record videos of water dropping on each surface and what happens shortly after. Here is what that looked like last year. Upload each video to YouTube. Record what actually happened in your chart. Then, write a reflection sentence for each surface. ThingLink them to a drawing that we create, take a picture of, and add tags to. If it rains, we can also try to see this happening outside. Here are some pictures from last year. Finally, find out how important water is to various scientists. Of course, they use water like you and I do, but they also rely on water as part of their daily routine at work. How do the following scientists use water at work? What role does water play for each scientist? Create a blog entry entitled, "Watery Earth Lesson 5 - How ________ Use Water" (using the Type of Scientist in the blank). Write about how one type of scientist uses water at work. Do this in paragraph form (Expository style). Here is an example. Discuss how plants and animals need and use water. Use what you already know and what you learned from the SRB reading from Session 2. Assign each student an organism to research by having them sign up on our Google Spreadsheet (pull sticks). Create a blog entry entitled, "Watery Earth Lesson 2.3 - How _______ Use Water." Put your organism's name in the blank. Below your paragraph, create a 3-column chart with the following titles: "Humans," "________" (Your Organism's Name in the blank), and "Both." List at least three ways your organism uses or needs water that is different from humans in the proper columns. List at least three ways your organism and humans use or need water similarly in the "Both" column. Insert a "Title" element above the columns entitled, "How Humans and __________ Use and Need Water." 1. Why is water considered a "Natural Resource?" 2. How is water essential (required) to our survival and the survival of all living things? As a class, discuss the differences between Man-Made Resources and Natural Resources. 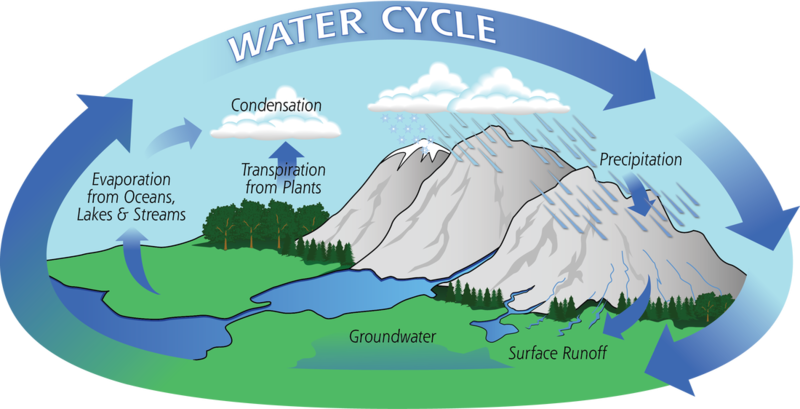 Create a blog entry entitled, "Watery Earth Lesson 3: Natural Resources." Create a 2-Column Chart with the titles: "Man-Made Resources" and "Natural Resources." Find at least six photographs from Google Images that fit each category and drag them into each column. Make sure that you have the same number of images on both sides when you are done. You cannot search for "Natural Resources" or "Man-Made Resources" on Google; you must search for the items you want to put on each side individually. Link the photo back to its source (to give credit). Do NOT turn on Lightbox. Type a caption that describes the picture. Click here to go to Science Companion's Sign-In Screen. Click here to read the SRB pages 28-36. What seem to be the most commons uses of water (list at least three)? What are the most unusual uses of water (list at least three)? Afterwards, read SRB pages 21-27. Click here, sign in, then click here. Stop reading at the word "Humans." Share a personal story that you have had with water by making a blog entry on your ePortfolio & entitle it, "Watery Earth Lesson 1: My Water Story." If you need help coming up with ideas, use this organizer to help brainstorm ideas: Water Stories. You will need to sign in with your Science Companion Prime information. When you are done, read others' stories and post positive comments for them to read. Read the SRB Section entitled, "The Wonder of Water." You will need to sign in with your Science Companion Prime information.